Our Upper Ross Community Centre provides access to information and support services in a friendly, welcoming environment. Temporary counselling; help with assessing your situation; and support until the right service is in place. We will support you through the process until you are comfortably engaged with the specialist service. Practical assistance to people in crisis by providing and linking you with emergency relief such as food and household items when we can. Fresh fruit & vegetables and bread are given away at the Upper Ross Community Centre on the days that they are made available from Coles, Deeragun and Woolworths, Rasmussen. NQ Community Services Inc has no control over what is available or days it is available. We notify the community when it is available via our Facebook page so please like us to receive notifications. Local newspapers are available for reading. There is a range of books available for exchange or sale at very cheap prices and often giveaways. 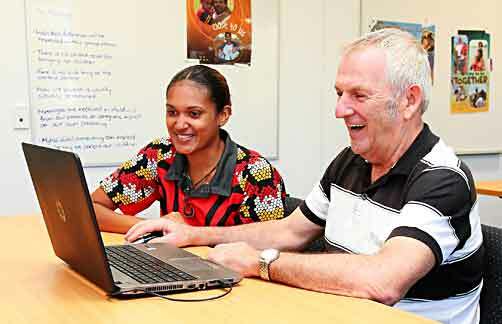 A volunteer tutor provides one-on-one computer training tailored to suit the individual. This is a free service available to the general public. 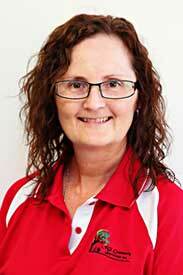 Currently the tutor is available for 1 hour sessions on Tuesdays and Wednesdays. Bookings are essential. Sewing machines are available for public use. From time-to-time sewing lessons are available. A volunteer sewing teacher delivers basic sewing lessons from time-to-time on a weekly basis. This is available to anyone interested in learning to sew. Please make enquiries about lessons via our website contact form. Justice of the Peace is available to members of the public every Wednesday from 9am to 11am. No fee is charged for this service, however a small fee may be charged for photocopying if needed. Queensland Health provides a free weekly clinic at the Upper Ross Community Centre every Thursday. This service includes baby weighing, growth and development information and advice as requested about positive parenting. Bookings are not necessary. This service targets children from 0 to 12 years. Through our partnership with Wilson, Ryan and Grose, a solicitor provides free legal advice (up to 15 minute consultations) every Tuesday. Appointments are necessary and can be made by phoning the centre. 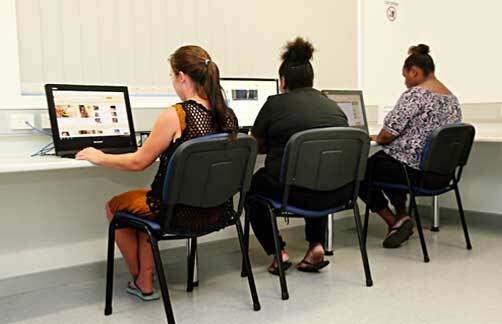 Small group basic and specialist computer classes are delivered at the centre on the second Wednesday of every month. Booking is necessary and can be done by phoning the centre. Courses they deliver include: basic use of computers; getting up and running with Email; starting and using Facebook; using Skype; using ipad; using tablet. Craft group meets weekly on Monday from 9.30am to 11.30am for those who love to create. Participants bring along their current project and enjoy a cuppa and the company of others. Includes knitting; crochet; patchwork; needlework; and more. All welcome. 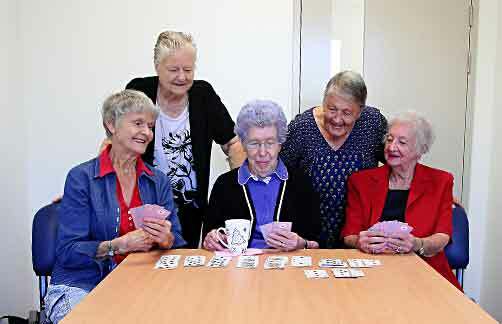 This group meets each Tuesday from 9.30am to 11.30am to play cards and board games and enjoy morning tea together. New members are welcome. This is a weekly social card morning which generally attracts those who are over fifty. They meet on a Thursday morning from 9.30am to 11.30am. New members are welcome. This Upper Ross community newsletter informs residents of services available in the local area and events that are taking place both at the Community Centre and in the community. Advertising space is available. Gumvale Store; Kelso Fish Bar; McDonald’s Rasmussen; Pinnacles Medical Centre; Rasmussen Newsagency; Riverway Pharmacy; Styling Stable; Upper Ross Medical Centre; Woolworths Rasmussen. It can also be received electronically via email. Please contact us via the website contact form to join our email listing or visit our Newsletters page to download a current or recent copy. This is an annual event held to promote access and foster community relations in the Upper Ross. It is also a platform to engage and inform the community about the services NQ Community Services Inc. and other organisations offer. There are information and market stalls as well as free entertainment and activities for families. The 2017 Expo will be held on Saturday, 3rd June from 10am to 2pm. The theme is Unity in Community Celebrating Mabo Day, 25th Anniversary.